Chemicals Direct produce AuStar, the world's most chemically advanced plant growth regulator delivered to you at the best possible price. The most successful farmers in the world have found the cost vs benefit ratio is best with AuStar. Research has proven that AuStar outperforms all others for mangos and avocados. Benefit from our global experience and see for yourself how big a difference it will make to your farm. Bring the best produce to market every time. Nothing insures flowering and fruit quality like AuStar. Austar has a team of experts with a vast array of knowledge to maximise the results on your farm. Better farming strategies through world class research and development. Find out how to maximise your profits, contact AuStar today. AuStar is the worlds most advanced and engineered plant growth regulator delivered to you at the best possible price. Do you need some AuStar advice? Would you like to become an agent for AuStar? Looking for information on Latin America? Está buscando información sobre América Latina? PGR's & Avocado - whats all the fuss about residue with fruits? Mexican lime growers LOVE AuStar! I have been farming mango for the past 25 years and currently control 200,000 trees and am pleased to give this testimonial to Chemicals Direct for their outstanding product Austar. 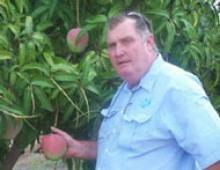 In my opinion no professional mango farmer can be competitive in the market place without AuStar. AuStar has proven itself over the past 8 years that I have used it. The quality of AuStar is by far the best Plant Growth Regulator that I have used. What crop are you interested in using Austar with? Customer Notice: AuStar has now become so successful around the world that some people are counterfeiting it. Ensure you only deal with our AuStar representatives.